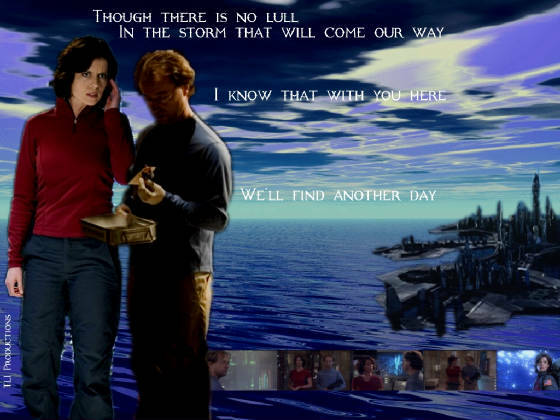 Two (and a half) variations on almost the same theme, created for docmichelle in Alyse's Weir/Zelenka Thing-a-Thon. My prompts were "shimmer, lull, fleck", and she also wanted hope. These are two-and-a-half 1024x768 wallpapers (the half is because I couldn't decide if the 'cap bar on the second one worked as well with or without). Clicking on the image will open the fullsize version in a new window.